NEUSPEED’s new Race Series Cold Air Intake features the largest diameter tubing – 3”for the most free flowing intake available to make the most horsepower. Manufactured using lightweight aluminum tubing, with a black powder coat wrinkle finish, our kit looks good too! Rubber isolated mounting reduces vibration. 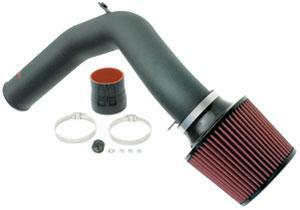 The Race series intake places the filter element in the front, driver’s side inner fender compartment. While this position is somewhat shielded, we do not recommend the Race intake for cars that are frequently driven in wet weather conditions. For customers living in areas with frequent rainfall and excessive standing water, we suggested that you use our traditional P-Flo short ram system.